Your transformer life can be extended if you regularly perform transformers oil filtration to expel the moisture, solids, and gaseous contaminants from the oil. Oil filtering machines help you achieve your goals and extend the life of the transformer. Equipments supplied by the manufacturers are used for processing of transformer insulating oil. 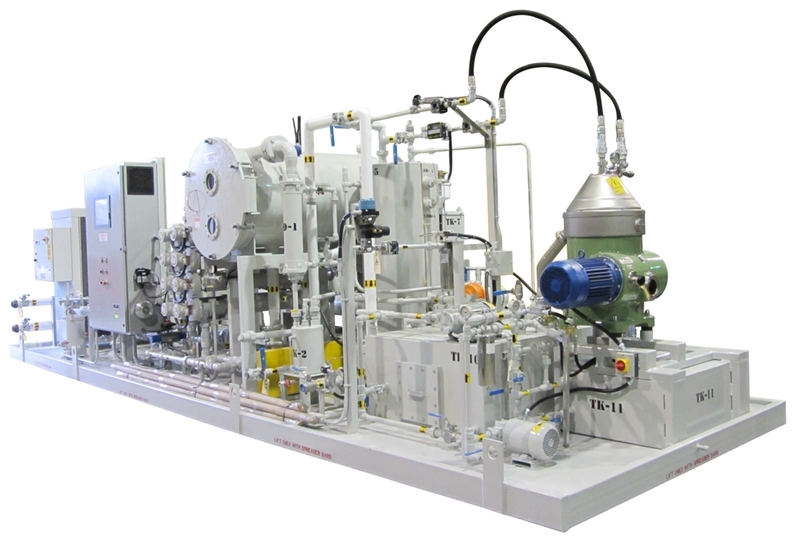 The process includes degasification, dehydration, filtration, and de-acidification (optional). Transformer oil purifier is designed for processing transformer oil in the field, workshops, in drums, storage tanks, directly in transformers, or inside circuit breakers or tap changers. Manufacturers that are supplying these equipments to their clients are also providing training to their representatives and staff employees. Suppliers are providing stationary, portable vacuum oil purification devices as per the customer’s application. The equipment is installed on a common base or within a trailer and provided in the form of pre-piped and pre-wired packing. Conditions for installing the equipment should be considered on a serious note. The installation has to be designed to operate satisfactory at regular temperatures ranging from 0 degree Celsius to 55 degree Celsius. Water removal – equipment removes the moisture from the oil. Transformer insulating oil is drawn into the vacuum system through a positive displacement pump. The oil is passed through an inlet strainer. Prior entering into the vacuum chamber, where gases and water inside the oil are exposed to vacuum through efficient dispersion and expelled via vacuum pump, transformer oil is heated using electrical heater. Oil purification equipment uses porous cartridges within the vacuum chamber for the maximum exposure of oil to the vacuum effect. Purified oil is passed by the pump with efficient filter element where oil polishing occurs. Once the oil is passed through the fine filter, it flows through a flow meter before entering the outlet or re-circulation valve. This step is completely optional. If you want more details about transformers oil filtration machine, contact manufacturers in your town today. You can search them online or look up for them in directories. You can share your experience with other readers in comments.